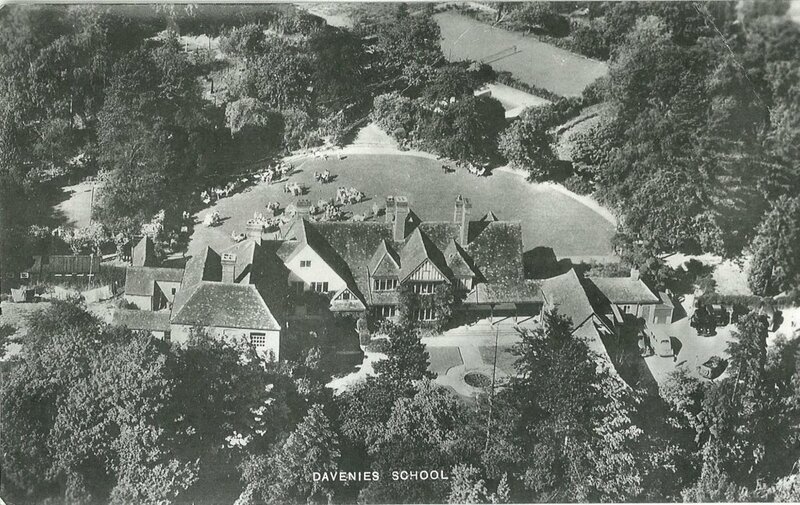 The name ‘Davenies’ is thought to have originated from a local innkeeper, ‘Dawbeneys Farm’ is referred to in 1604. 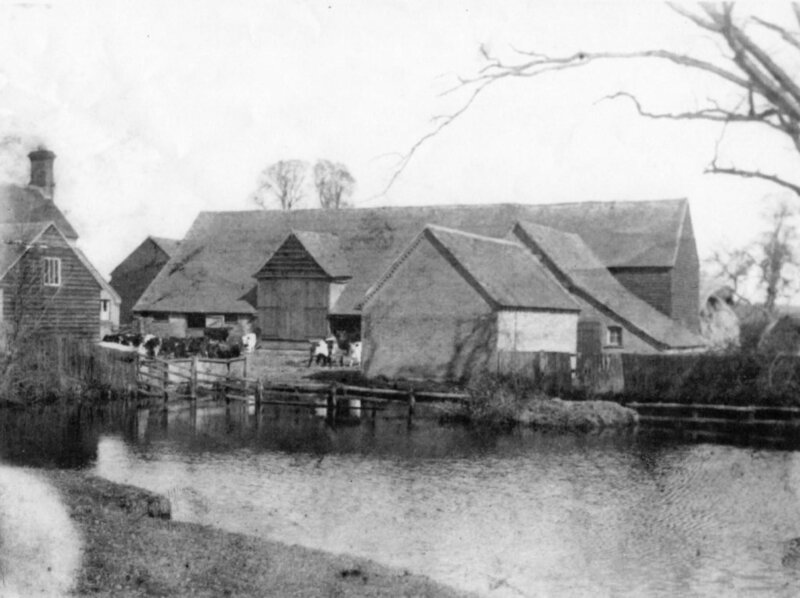 When the railway came to Beaconsfield in 1906, Davenies was one of the first farms to be broken up. The buildings and some of the land were bought for £2,100 in 1909 by the well-known London architect Stanley Hamp. By 1911 Hamp had converted the Georgian farmhouse, neighbouring barn and a group of outbuildings into a large country house, this transformation of buildings was to become Grade II Listed in 1985. The onset of World War II in 1939 led Mr and Mrs Petty, who owned a School in Northwood, Middlesex, to look for a safer area to educate their pupils. Together with their daughter and her husband, the Reverend R.E. Newton who was Headmaster of Kingsfield School in Bushey, the Petty’s bought the land at 73 Station Road, and so Davenies School was founded in 1940. Reverend R.E. Newton, the Petty’s son-in-law, was the School’s first Headmaster. During the war the School housed around a dozen boarders, in addition to a handful of day pupils. Reverend Newton kept various animals and tended his beehives from which he sold the honey as sugar which was in short supply during the war. And so the School’s motto singulus pro fraternitate laborans – each striving for the good of all was founded as Reverand Newton observed the sense of community in his hives and captured this in a school where the boys would embrace service and enjoy each other’s company. By 1948 the School had grown to 68 pupils, a small number of whom were boarders. Beaconsfield Educational Trust Ltd was created on 9 March 1962 to administer the School, which it does to this day. The Reverend Newton continued as Headmaster up to his retirement in 1968. In September 1968 Mr J.C. Lucas was appointed Headmaster of Davenies, and would run the School with the help of his wife Molly for the next twenty-four years. By 1974 there were 170 day pupils, 10 full-time staff and 5 part-time staff. Further Headmasters were Mr Jones, Mr Nott and Mr Watson. Today Mr C. Rycroft is the Headmaster of Davenies School, having been appointed in September 2015. There are some 337 boys on roll and over 70 dedicated full and part time staff. The School buildings have been adapted and enlarged to provide exceptional facilities.